This full-time Playworks AmeriCorps Member role brings healthy play and physical activity to low-income schools to create a positive environment for learning and teaching. Members are provided with extensive training and placed in an elementary school to work alongside teachers and school administrators to implement our on-site Playworks program. Members also generate community and family involvement in their school community by recruiting and supporting volunteers and facilitating community engagement activities. Members commit to serving a full school year of at least 1700 hours. This position position typically requires more than 40 hours per week and includes night and weekend sports league and community engagement activities. Members typically start service in August, and serve until the end of the school year. 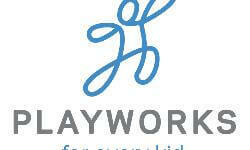 We will share your profile and application with Playworks. Before we can tell Playworks to look at your profile and review your application, we need a few more details about you.